We are proud to launch our first ever short story competition - on the theme of "Borders". Its aim is to increase awareness of our human rights. 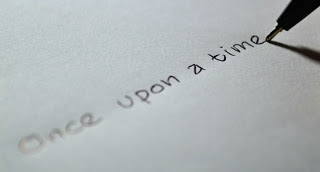 The competition is for original, unpublished fictional stories up to 1700 words. The winning writer will receive £50 and the story will be published here on this website. Entrants must be at least sixteen years old and based in the United Kingdom. What do stories have to do with our human rights? Archbishop Desmond Tutu writes: "They are all bound up with this wonderful talent we humans have: to empathise with others. … Through empathy we overcome prejudice, develop tolerance and ultimately understand love. Stories can bring understanding, healing, reconciliation and unity." Graham Minter of Amnesty International UK's South America team spoke at our monthly meeting this month. He provided a summary of the history of human rights issues in the region since the dictatorships of the 1970s. South America is the world's most dangerous region for people who defend our human rights but Amnesty International stands up for "the brave". We take our annual break in August. Our next monthly meeting takes place on Tuesday 12 September at the usual venue - the Friends Meeting House, Friargate, York YO1 9RL. It starts at 7.30 p.m. - or, if we have a guest speaker, 7.00 p.m. Either way, all are welcome to attend.